When it comes to developing sustainable and successful sports marketing programs, RSMG uses, what we consider a very fundamental, common sense approach. 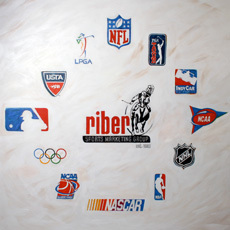 First, know the markets in which the sports properties play. What content is valuable within the Sports Property and what is not? Focus on the assets that you need and want, not inventory that the Property needs to sell. What should it cost to acquire the sports assets? What should it cost to activate the acquired sports assets once the building blocks are in place? Second, success is determined by how you leverage the Sports Property. Know why and how you want to use the Sports Property BEFORE you invest, not after. Efficiently managing your sports marketing program is not brain surgery, but it is intricate. RSMG is your resource for managing ALL your program’s day to day details, including Agreement negotiations, creative identity development, maximizing property usage rights, integration within your marketing assets, retail/event marketing execution and EVERYTHING in between. No aspect is too small to focus on. In the end, effectively managing the details will determine the extent of your return on investment.